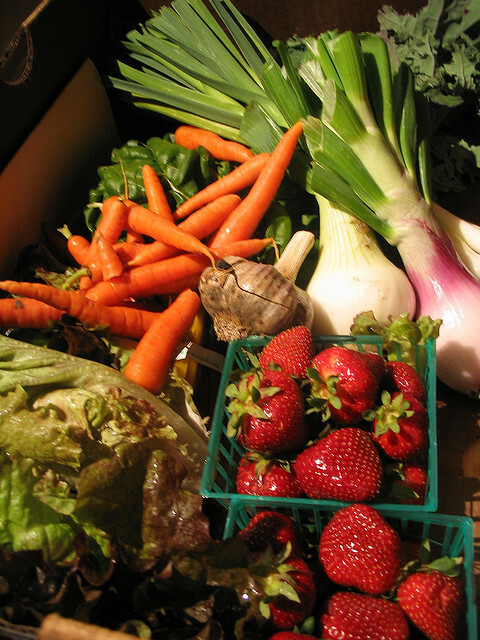 The CSA (Community Supported Agriculture) model is great, but far from ideal. The modern consumer is accustomed to convenience and choice especially when purchasing food. The typical CSA model flies in the face of everything these consumers are used to. It requires an individual to find and sign-up with a farm, pre-pay in advance for produce not yet seen nor oftentimes grown, receive a weekly box of vegetables (often not knowing the quantities and kinds of veggies inside) and to show up at a specific location and time every week to pick them up. Let’s face it, you’re asking a lot from your consumer! However, because healthy and nutrient-dense food is so sought after, people still do go for and enjoy their CSA experiences. In fact this alternative model can create a sense of newness and community as people come together for a like cause – to cooperate with farmers and receive a portion of the local and sustainably grown harvest. Aside from the revolutionary spirit that takes over and turns a blind eye to all its blatant downsides, the CSA model could do with some improving. Remember, it’s all about give and take. Ask yourself: how far do you want your customer to come to you before you reach out to them? Let’s now look at how corporate CSA programs address these problems and aim to improve the overall customer experience. Instead of creating a new location (in the mind of your first-time customer) bring your product to a location that is already established and important to them. By bringing your veggie boxes right to their office you’re taking the mental time and hassle of customers having to learn, remember and attend your weekly Farmer’s Market or CSA drop-off point. First-time members are not likely to be sold on the “join our community” argument as they do not yet know you nor are they sure they want to be a part of your community. Leverage the existing community and culture present at their work place, and you’ll also create perceived value – that of now not having to go to the supermarket to get the groceries that miraculously popped up on their doorstep! A CSA program assumes that members receive a portion of the harvest and eat what is naturally being harvested at the farm – bringing everyone one step closer to a more diverse and seasonal diet. However, one individual has only so much flexibility when faced with unliked or excessive veggies of a particular type in their weekly box. They may be able to hand off the squash to their spouse who adores them, or they may not. By delivering a certain number of boxes to a group, a group that already knows and is familiar with each other, you’re actually providing them with more choice. They’ll quickly figure out that Jack loves potatoes and will gladly trade his onions for them and that Marlene is keen on swapping her radishes for more beets. As the proud farmer you are, you’ll still be gently nudging individuals in the direction of trying your produce or revisiting previously unliked vegetables… but also leaving them the option to opt out if they simply refuse. to. eat. that. swiss. chard. Is someone from the office leaving on holiday? Most likely during the course of a CSA program, whether it runs for 12 weeks or 21, more than 1 employee is going to be absent for their weekly box delivery. Once again, the group comes to the rescue. There’s simply more flexibility with coworkers, those already participating and those not yet convinced, to step in and adopt the unclaimed veggies. It takes time to become established in any market. Farmers, especially small-scale and relatively unknown, need to constantly market themselves and network with the community. You’ll still need to do this, as the customer interaction is invaluable in understanding what your buyers want, need and love about your food, but taking the stress out of turning every acquaintance into a new CSA member is a welcome change. By going corporate you’re leveraging an existing community and network of individuals who will talk and share their experiences and ultimately, from year to year, grow their own group as more of the CSA member’s colleagues catch on to what a brilliant idea it all is. Depending on the company or corporation in question you may be initially working with 15 individuals from a pool of 20… or from a pool of 200 or 2,000. 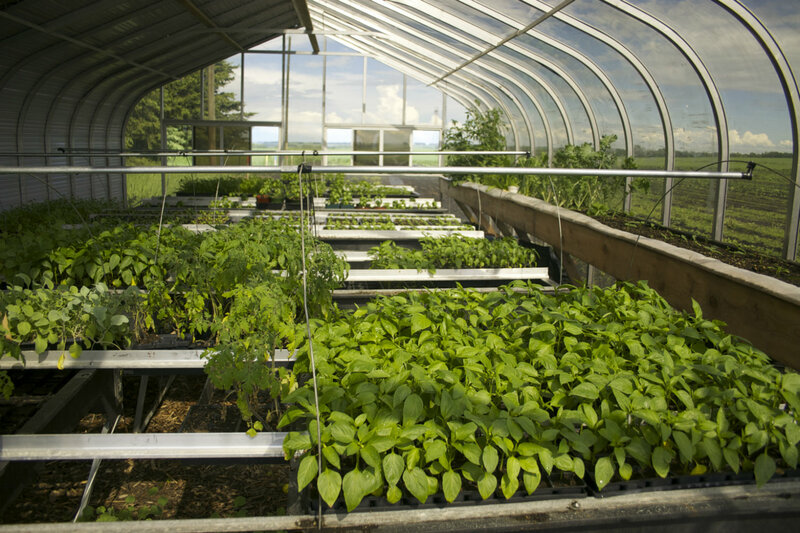 Some companies are very big – and this can really work in your favour if existing CSA participants enjoy your produce and the program. Ultimately – this means that you can spend less time chasing down new clients and more time at the farm, with your family and growing that food!